After Gorakhpur, now Bareilly is witnessing cases of plasmodium falciparum (cerebral malaria), malaria, dengue and Japanese encephalitis. According to media reports, fever has killed 202 people in the district in the past 20 days, but district administration believes only 28 people have died due to the disease. The administration has also announced that the number of deaths will be audited. Till now, the district has already seen 3,774 cases of cerebral malaria. Uttar Pardesh received a good amount of rainfall, which resulted into waterlogging in many parts of Bareilly and provided a breeding ground to mosquitoes. This made district as well as private hospitals witness a spurt of patients suffering from fever. The situation is such that the district hospital has two patients every one bed and the hospital just has two physicians to attend to them. After questions were raised over the number of deaths, state health minister Sidharth Nath Singh held a review meeting in Bareilly and then suspended the malaria officer for being careless in official tasks and not following protocol. After villages like Majhgawan, Bhamora and Bisharatganj, cases of malaria have also spread to cities like Sanjaynagar and Subhashnagar in the state. On Thursday, a team of health officials surveyed more than 80 villages and found 385 cases of plasmodium falciparum. These patients are being treated in different hospitals right now. Be it villages or cities, the number of deaths caused by fever is increasing constantly. Despite that, Dr Vineet Shukla, chief medical officer, says the fever cases are almost under control. He said 96 teams of health officials held diagnosis camps in 82 villages, where more than 7,000 people were checked, of whom 385 were found to be infected. More than 1,000 people were found to be suffering from malaria. All of them have been given medicines are being treated. He added that the situation in Majhgawan and Bhamora has improved and the number of cases in district hospital has also reduced. Not just malaria and dengue, cases of Japanese encephalitis have also been found in Bareilly. The district saw the disease take one life on Thursday. 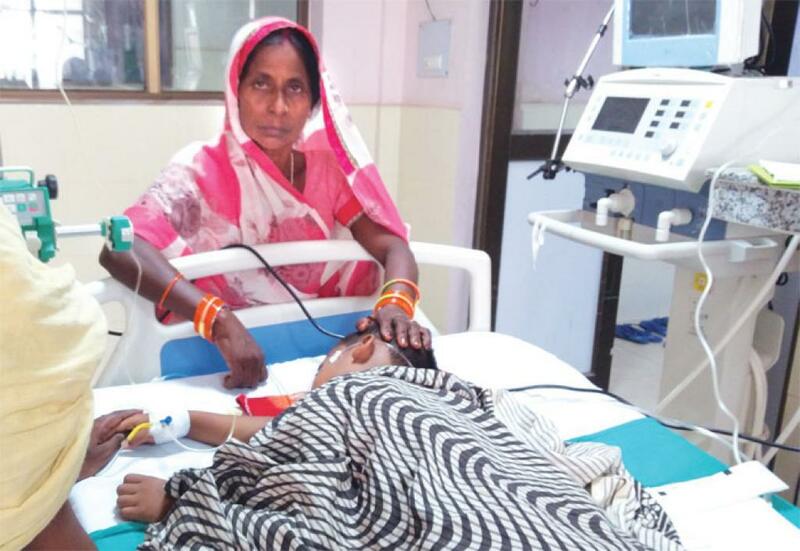 Dr Pramila Gaur, addition director (Health), Bareilly division, said they have sounded an alert for the disease in four districts of the region. Critical care expert Vimal Bharadwaj said people of all age groups have been infected and cases are not just limited to villages, but also cities. He suggested that people ensure there is not still water or water logging near them and if they find water they should get it disinfected. He further recommended that people wear full sleeved clothes and if they suffer from fever, they should immediately consult a doctor.